The meaning of V, GV and GTX in the Asolo style names: V stands for a Vibram outsole, GV stands for Gore-Tex lining with a Vibram outsole, and GTX is for a GORE-TEX lining. 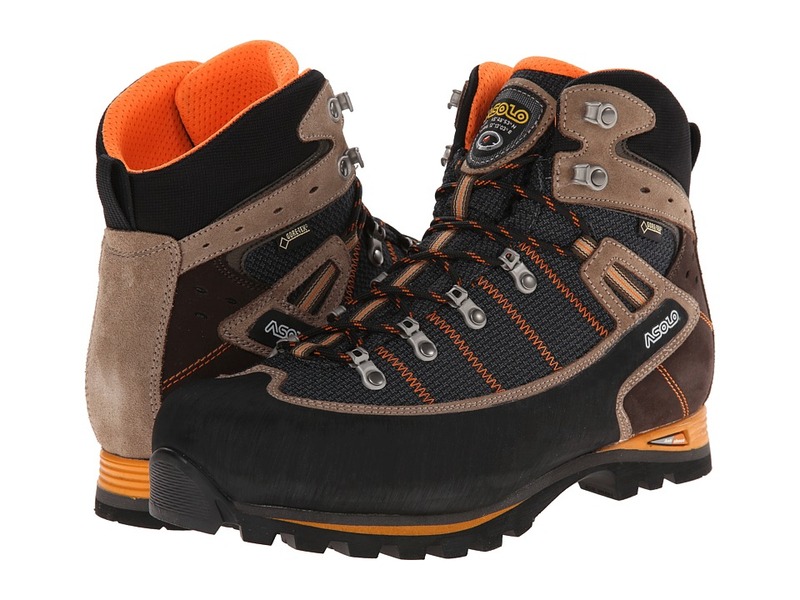 The Asolo Shiraz GV MM has the right combination of durability, water-resistance, comfort, and traction that makes it ideal for backpacking, trekking on technical terrains, and long-distance hiking. Tough 1.6-1.8mm water-resistant Schoeller K-Tech and suede upper offers exceptional durability. Mid-cut design provides superior ankle protection. Full rubber rand guards against rocks and other trail debris. GORE-TEX Performance Comfort Footwear technology offers waterproof protection to ensure feet stay dry and comfortably cool for a wide range of conditions and outdoor activities. Built on the Asoflex 00 MR last. Plush tongue and collar for added comfort and performance. Heel pull loop for easier on and off. Lite 2 insole offers lightweight support and comfort. Dual-density microporous midsole with a PU Anti-Shock insert provide superior support and shock absorption. Vibram Ascent rubber outsole provides all-day support and comfort with superb traction on a variety of surfaces. Imported. Measurements: Heel Height: 1 1 4 in Weight: 1 lb 11 oz Shaft: 7 in Platform Height: 3 4 in Product measurements were taken using size US Men~s 11.5, width D - Medium. Please note that measurements may vary by size. Weight of footwear is based on a single item, not a pair.